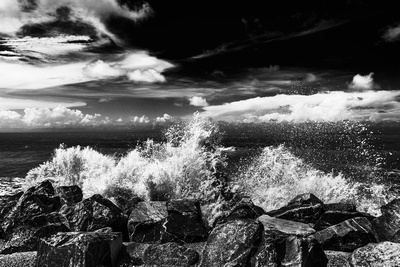 It is not often that I am at the seawalls when the tide is at its highest and the waves are crashing against the sea defences, when that does happen, I usually take some photos, but seldom use any; mainly because I never seem to get one that I think stands out enough. As one who has tried many times also to capture that feeling of the sound and the surf, I have to agree that it is difficult. Unlike you, I haven’t conquered that difficulty yet.